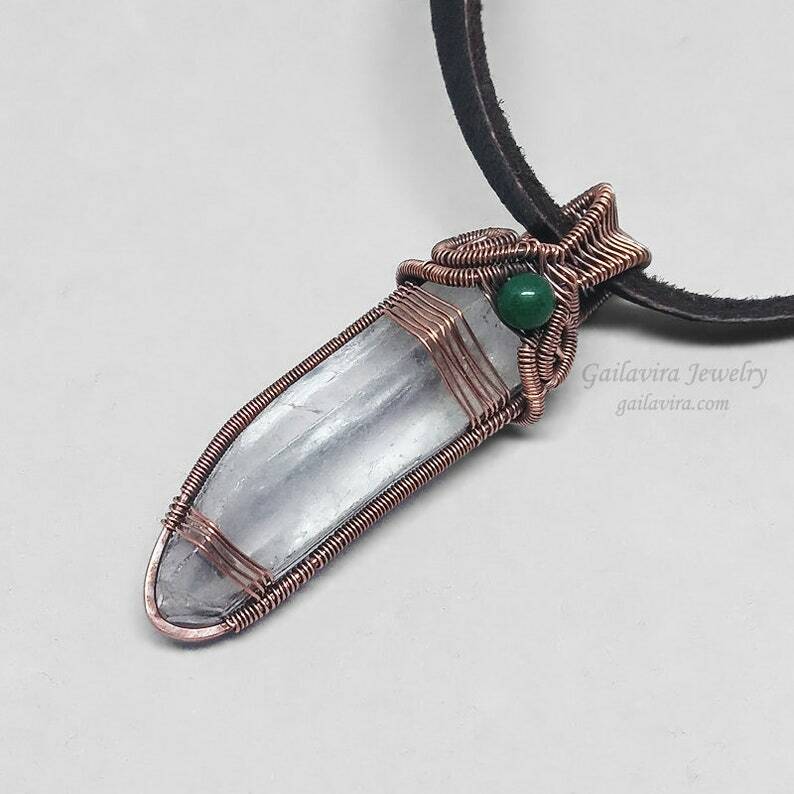 A single green aventurine accents the top of a copper wrapped natural Quartz crystal point. 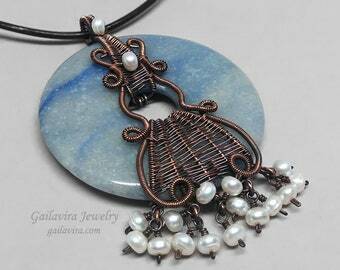 Pendant hangs from a dark brown leather necklace with handmade copper findings. 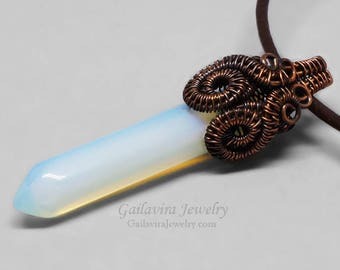 Pendant is approximately 5/8" (17mm) wide and 2 1/8" (53mm) long. 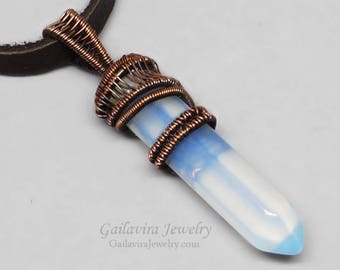 Necklace is approximately 20" (50.6cm) long.